Need a little more romance in your life? Watch some French romantic movies. I admit, I have a weakness for France. To me, that's the most romantic place on Earth. Not only that I met my first love there, but the atmosphere, the Eiffel tower, the paved streets, the small cozy restaurants, the flowers, the city lights, the wine... oh the wine, everything seems more romantic there. When I was little, even if I grew up in Europe, I hated the European movies with a passion. I thought they were boring. Now, years later, I appreciate them more. I've watched a lot of American romantic movies and most of them, especially in the past 2-3 years, are full of cliches. It's like the same story over and over again told in different ways. Don't get me wrong, I love Hollywood. There are still many quality movies released every year, just the crappy ones are more than before. There's something different about the European cinema. The movie stories are unique. Much more realistic and down-to-Earth. So there it is, the list of movies that will make your boyfriend hates me. Except if he likes romantic movies, in which case - CONGRATULATIONS! You may as well give me an advice on where to find that kind of a man. Thank you in advance! It's so obvious it hurts. That's probably the best French movie ever. For those of you who didn't watch it, it's about a cute, naive, single girl, with a very different world view. It's her adventure of discovering the love. Unique, funny and beautiful movie that will make you feel better and probably will change the way you see the world around you. Not only the plot and the character are unique, but the cinematography is just gorgeous. It's such a funny, positive and different movie. It's about the small things that matter, about making an impact, about appreciating life, appreciating the love. It reminds you that you should never stop living, dreaming and making a change. The star of Amelie, Audrey Tautou, with a role in another brilliant film. "À la folie... pas du tout" is a story of the young, beautiful woman Angélique who is in love with a married doctor. That was the first movie I watched without subtitles, since I learned French. If you are a fan of romantic thrillers, that's your movie. First you are seeing the love story through the eyes of Angélique, then trough other people's eyes and at the end you see the reality. The plot is so unique that you will want to watch it again so you can spot all the tricks.The start of the movie is a little bit slow but after 40 minutes your jaw will drop. The cinematography is stunning (which really isn't surprising for the French movies) and the acting is brilliant. Wonderful romantic comedy focused around Rose, a 1950's small town secretary who dreams of becoming a modern independent woman. She's a terrible secretary but a great typist. She has a handsome boss who wants to turn her into the fastest typist in the world. "Populaire" is a super sweet film, with stunning art and wonderful cinematography. Watch it when you're feeling down. It will boost your mood instantly. One of the best qualities of this movie is its colorful visuals. 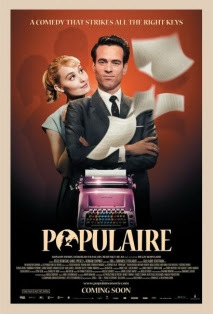 I mentioned previously how much I like the way most of the French movies are made and "Populaire" is an example. "Jeux d'enfants" is one of the best movies I've seen in a long time. It's about best friends who have built their relationship around a childhood game of challenges and dares. This film is too intelligent to be mainstream. It's unique, colorful, with a brilliant story line. It will make you think and challenge the way you see life. You should not watch it if you are not a hopeless romantic. It has so much of real life. It's like The Notebook but with much more realism. Be aware that "Love Me If You Dare" has two alternate endings. "Amour" is a romantic drama about the retired music teachers Georges and Anne. Anne suddenly has a stroke and and she will never be the same. Their love is tested and Georges is driver to make tough, painful decisions. One of the best movies of 2012. It's tough to watch, it made me cry couple of times. It made me think about my parents and the power of love. Meaningful, beautiful and sad movie. "Amour" will stay with me for a long time. Everyone should watch it. We will all grow older, we can't escape that. Someday we may all be in Georges and Anne's position. "De rouille et d'os" is a phenomenal romantic drama. It's not an easy viewing, but it kept my attention from the beginning. It's about an unemployed man who has to take care of his young son. 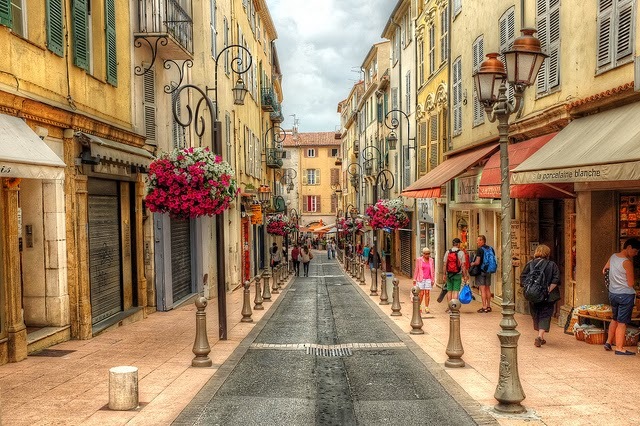 He has no money and moves to Antibes to live with his sister and her husband, searching for a job. He starts a relationship with Stephanie, a killer whale trainer, who suffers a horrible accident. The reason that this movie really touched me is probably because is really real. This story seems to be able to happened to anybody, anywhere in the world. "Rust and Bone" is a masterpiece. You should definitely put it on your "French romantic movies marathon" list. Okay, that one is a bit different. It's about a relationship between two girls. If you are not into that kind of movies you can just skip it. My advice is to just give it a try. It's a very beautiful story and a great example that love is love no matter what. 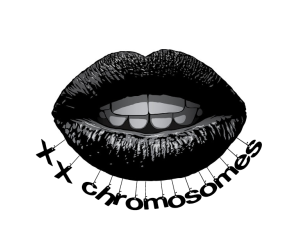 Adele is a student who's beginning to explore herself as a woman. She dates a lot of guys but every time something is missing. That's before she meets Emma, a free spirit blue haired girl. Emma and Adele discover together the sexuality and the social acceptance. Like i said, that movie isn't for everyone, but if you are an open minded person you will definitely like it. about a young beautiful girl but who's a gold digger. She mistakes a bartender for a wealthy suitor. It's a classy, funny and unique comedy, starring Audrey Tautou, again. It's very different from all the Hollywood movies these days, gives you something fresh, something new. It reminds you that awesome movies like this one still exists. It's a "must watch" for all the romantic comedies fans out there. "Les émotifs anonymes" is absolutely hilarious. It's about Angélique, a woman who's afraid of basically everything, and Jean-René, an owner of a small chocolate manufacturer, who's also afraid of many things. They both meet at a support group for others like them. 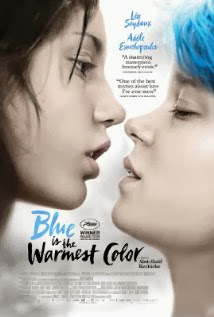 It's a perfect movie to watch in a rainy day, feeling depressed and sad. It will make you feel better. Sweet, funny, beautiful comedy, about two socially awkward people - surrounded by chocolate. Who doesn't like chocolate? "20 ans d'écart" is the last movie of the list. I watched it in the cinema 2 weeks ago. It's a story about the editor of a famous magazine, Alice, who has the reputation of an iron lady. Everything is good until her boss suggests that the magazine should hire someone more brave and provocative for the position. She's shocked. Meanwhile, there are rumors about her having an affair with a 18 year old student. That's all she needs to boost her career. But what she can do about the student, who's really in love? It's a sweet and funny movie. It's a good way to spend 90 minutes of your weekend. that was my list of French romantic movies. Whether you are searching for something different from the Hollywood movies, or you just need to improve your French, I hope my list was helpful. Did I miss some movie? What's your favorite one? I can't wait to read your responses! This is perfect! I know what I will be spending my weekend doing….